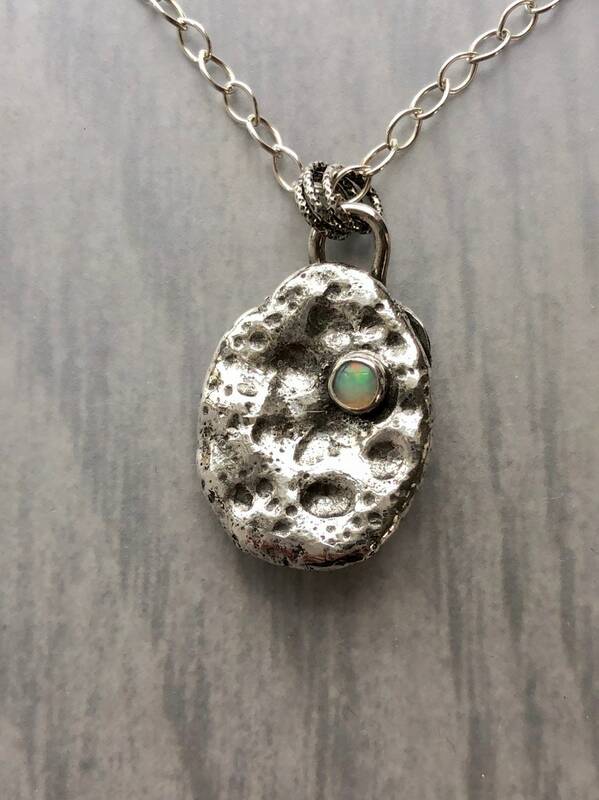 An Ethiopian opal nestles inside a heavily cratered, not-quite-full silver moon. 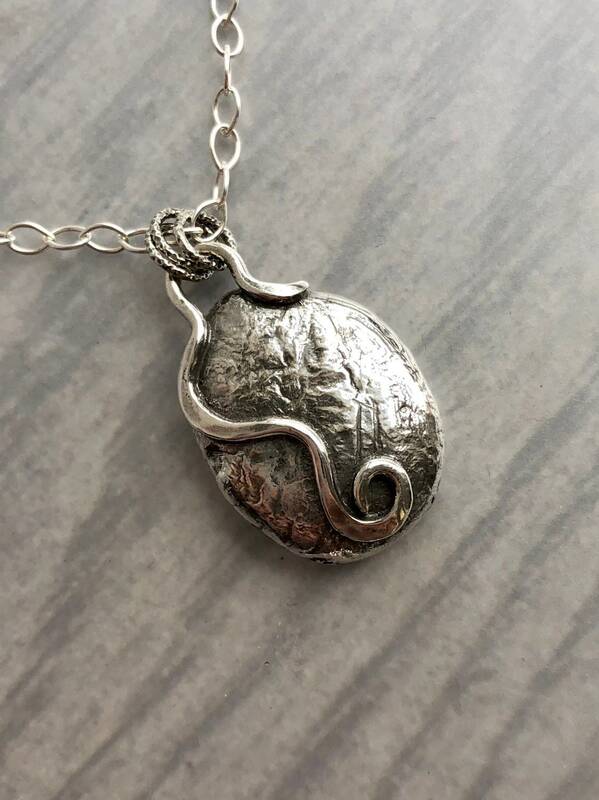 The loop at the top continues down the back of the piece into a graceful spiral. 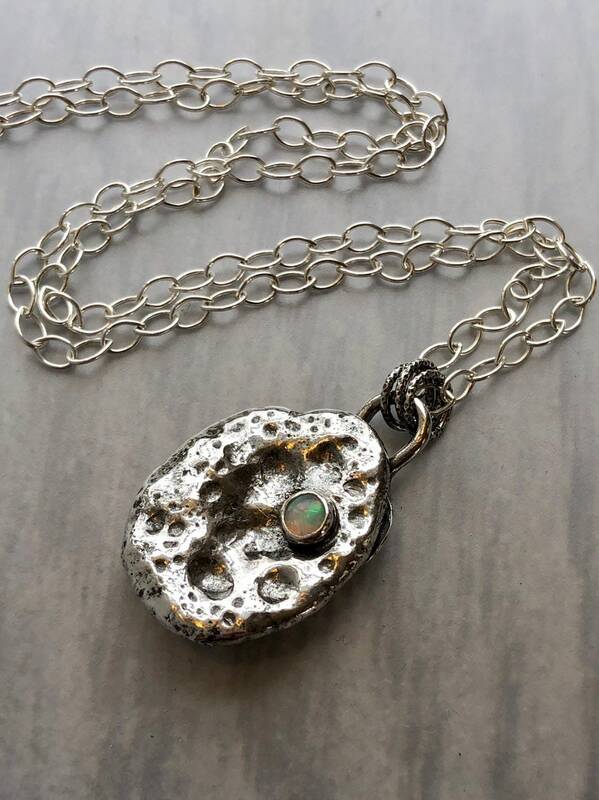 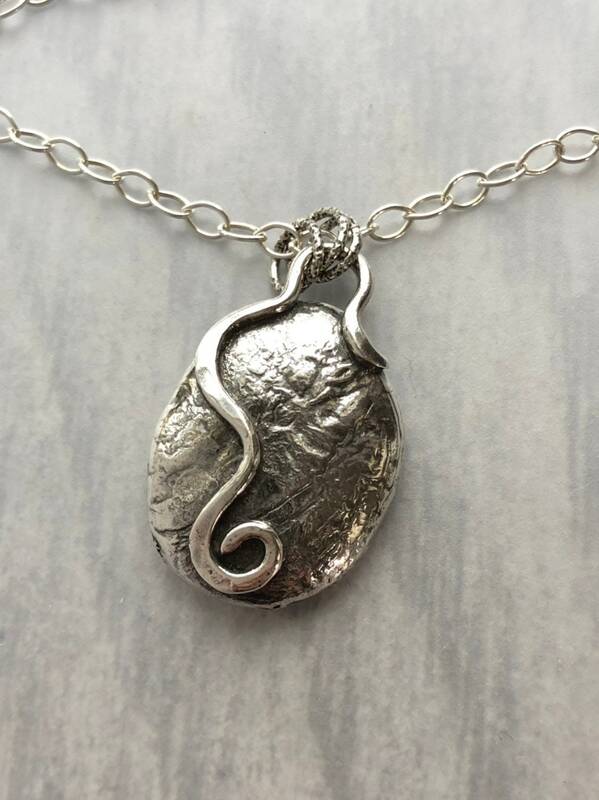 This one of a kind piece is made of solid sterling silver and is quite heavy. 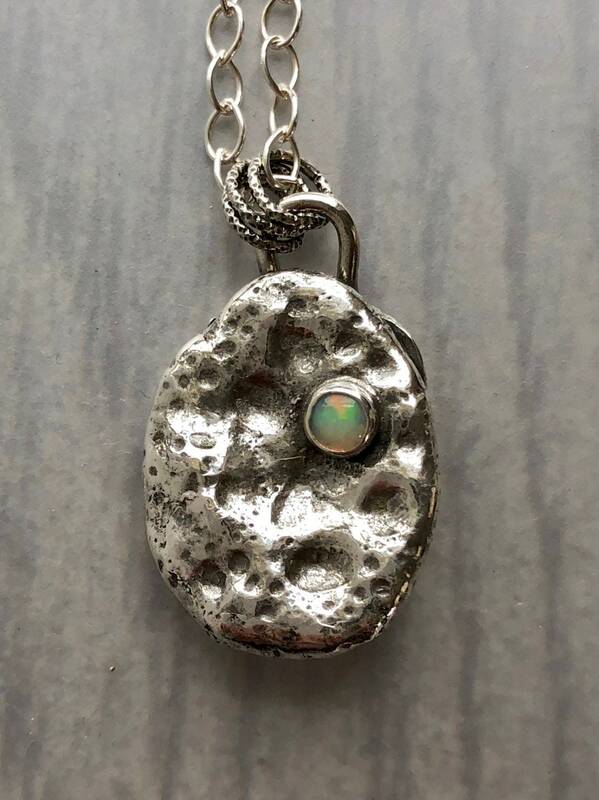 • The opal is 4mm in diameter. 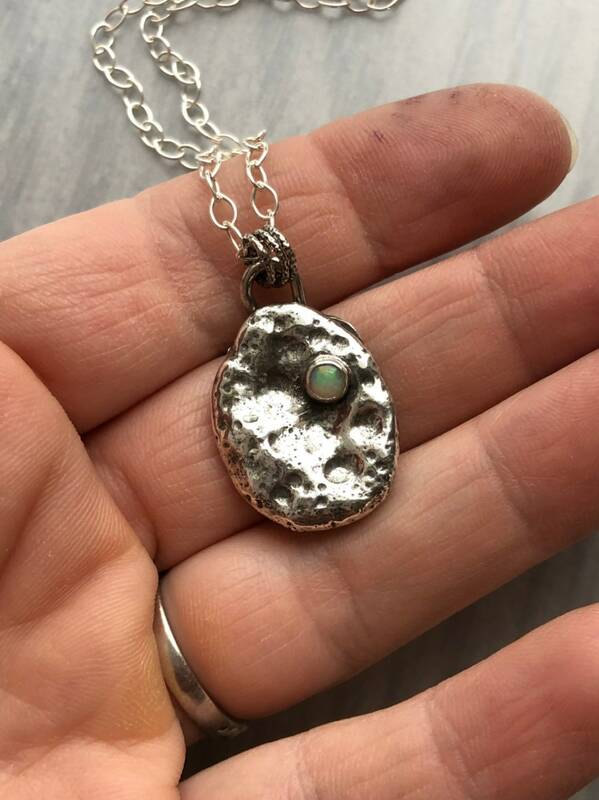 • This pendant measures just under 1” x 3/4". 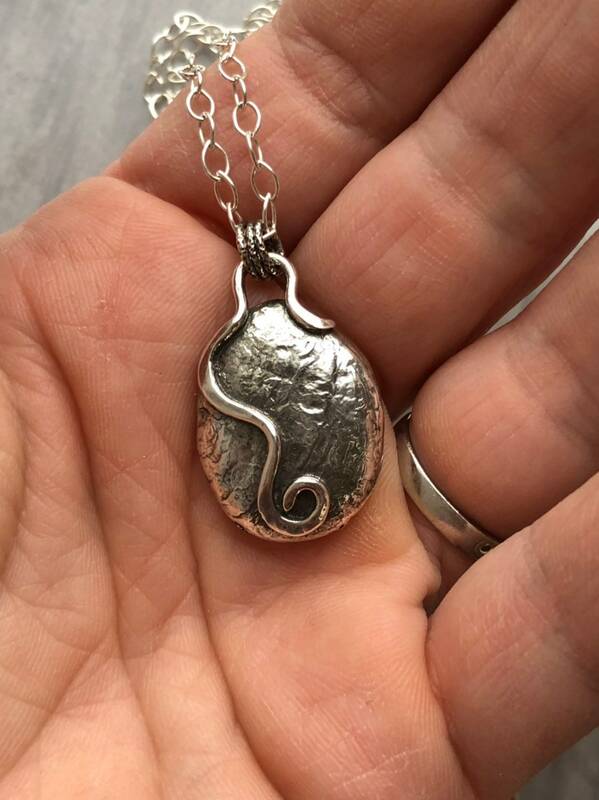 • The sterling silver chain is 18" long.